My last article reviewed MACRA for 2017/2018. According to the article in HFMA by Julian Harris, there are some activities that can help build a successful MACRA program no matter where a physician organization is on its MACRA journey. Following are ideas on some strategies for working on a MACRA program in an organization. Education- It is no surprise that due to its complexity, there is a lack of understanding of what MACRA means and how to approach compliance. Hospitals, as well as physician organizations, need to educate their clinicians on both the legislative and regulatory differences. 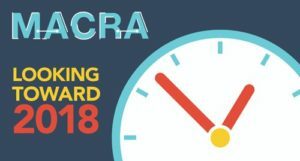 Because MACRA applies to physicians, physician assistants, nurse practitioners, clinical nurse specialists, and certified registered nurse anesthetists, it is critical that all in a physician organization are aware of their need to participate in MACRA efforts. Education should explain the two MACRA pathways (MIPS and APMs) and what is involved with each path and the timelines for each. Education to help with reporting tools is key. Since there will be changes to organizational cultures and governance structures, an understanding of population health strategies, optimization of care models, technology, and workflows in a value-based payment world are essential. Assemble a MACRA strategy implementation team- MACRA impacts many areas, so it is key to make sure the team leading the work represents those areas. The group should include clinicians, financial leaders, C-suite leaders, and IT specialists. This will help to create a more realistic and executable strategy. Overall, the team should analyze data, assess risk, gauge technological constraints, and solicit opinions from key stakeholders. This team should be well respected among their peers so that the group’s recommendations are respected and embraced when presented to the organization. Create a strategic plan for MACRA compliance- The strategic-implementation team should take ownership of creating a defined yet flexible plan. They will need to know which path the organization is going down- advanced APM or the MIPS. Most clinicians will participate in MIPS, but if physician organizations are already involved in Medicare APMs, such as accountable care organizations (ACOs), they may qualify for participation in advanced APMs. Organizations need to decide whether physicians will report individually or as a group, because that decision is the basis for the rest of the effort. Physician organizations should focus on quality metrics first because these metrics represent 60 percent of payment in 2017. As reviewed in my last article, clinicians must report six quality measures that best reflect their performance. At least one should be an outcome measure or a high-priority measure. Examine the current reporting infrastructure- Before proceeding too far, physician organizations should assess their existing reporting infrastructure and identify any weakness that could affect the organization’s ability to reliably submit measures. It is important to check whether the facility’s electronic health record (EHR) is certified by the Office of the National Coordinator for Health IT. If it is not, they need to look to replace the system with one that meets meaningful-use requirements. Next, physician organizations should review their current reporting capabilities across the board. This reporting can be done through the EHR or another vehicle. Currently, turmoil exists in health care, and some may want to delay work on MACRA. However, indicators suggest that organizations will have to comply with the legislation so the sooner they start, the better. By engaging in strategic discussions and data review, a physician organization can create a plan for MACRA compliance that will not only advance its value-based journey in Medicare fee-for-service, but also point it towards value-based care across all its lines of business. See my article also published on LinkedIn here.